2 Bedroom House To Rent in Chesterfield for £625 per Calendar Month. Located in the popular residential area of Brockwell, is this well presented semi detached home providing a spacious and modern accommodation throughout. 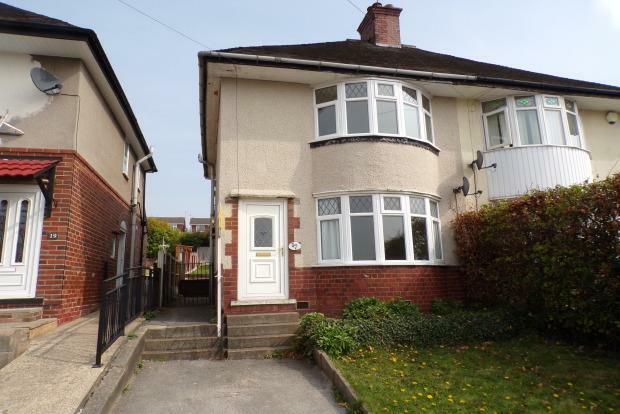 Benefits include gas central heating, double glazing, gardens, nearby primary school and good access for town centre. - Entrance Hallway, stairs leading to the 1st floor. - Large lounge with bay window, neutral decor and a feature display fire place. - NEW modern kitchen with tiled flooring, fitted oven and hob with storage available and room for appliances. Under stairs pantry with shelving. - This property has a lovely family bathroom being tiled with a p shaped bath and overhead shower! - Main bedroom having a bay window bringing in lots of natural light, with neutral decor and wardrobe/storage cupboard. - Bedroom 2 is also a double with neutral decor and storage available. - Attractive rear garden is made of of a smaller pebble area, sleepers provgide steps to the lawn and patio. - Driveway to the front of the property for 1 car. Call Now To Book Your Viewing! 01246 220926!